Cable fixings from Prysmian ... high quality. JONATHAN RAWLINSON, technical manager – components at Prysmian Group, looks at some of the issues surrounding specification of cable systems. Recent high-profile incidents across the UAE have thrown the spotlight on the need to ensure that fire safety is a prime consideration in the design of both commercial and residential buildings. 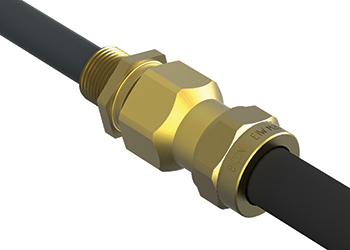 Prysmian Group knows from its own distribution throughout the region that demand for high-quality fire-resistant cable is strong, but has noted that there is less understanding of the quality issues surrounding accessories: the fixings, glands and connectors that are essential to ensure a cable installation performs as anticipated in the event of a fire. It seems an odd situation to find a contractor buying a premium, high-performance cable, but compromising the integrity of the installation as a whole by the use of substandard accessories. As a cable system provider of both cables and accessories, Prysmian Group recognises that the performance of any installation relies just as much on the quality of the lower value accessory as of the cable. As such, it invests a substantial amount of effort and cost in testing and approval of the cable and accessory system. The difficulty for specifiers, working in a global market with few internationally agreed standards, is to know which accessories meet the demanding performance standards required to ensure reliability. Prysmian always advises customers to focus on the documentation behind any manufacturer’s claims. • BS EN 62444:2013 Cable glands for electrical installations. • BS EN 61238-1 Compression and mechanical connectors for power cable. • BS EN 61914 Cable cleats for electrical installations. • BS EN 50393 Low-voltage joints. It is not unknown for manufacturers to cite other standards as proof of the performance of the accessory, so it really is important to know what standards relate specifically to the individual accessory type and application. It is also not unknown for manufacturers to claim conformance with a standard without having the test data to back up their claims. An important part of the specification process is, therefore, to ask questions to probe the strength of any manufacturer’s claims. They should be able to provide test certificates and identify the independent testing procedures that have been carried out over time. Being able to point to historical test data is also an indication of a secure track record of quality production and rigorous product testing – in some cases, going back through previous brand identities. Product testing should be rigorous and regular with tests being repeated on a regular cycle. Every aspect of the cable accessory will be tested and, provided the tests are carried out by test laboratories that have themselves been certified, will uncover manufacturing issues that may compromise the performance of the product and, in effect, of the entire cable installation. In a global market, it is always possible to source low-cost products that appear to meet accepted international standards. In some cases, it can be difficult to differentiate a high quality product from a substandard option. Common causes of products failing test procedures relate to the materials used in manufacture. Recycled metals and plastics that are weak and unreliable, or plastics that may contain known carcinogens or low smoke materials that do not perform adequately when in a fire are all issues found in the market. Another issue of concern is incorrect product marking that can mislead the purchaser and result in the final installation being inadequate compared to the original specifications. This is a huge concern for Prysmian as cable accessories are not specific to individual cable brands. The company’s advice would always be to use cable and accessories from a single manufacturer as there is then an assurance that the entire system will be designed to function as an integrated whole and will not be compromised by a single weak link. Prysmian’s Bicon product range is the result of over 100 years of cable accessory development and quality engineering, started by BICC and continued in the 21st century by Prysmian Cable and Systems, UK. 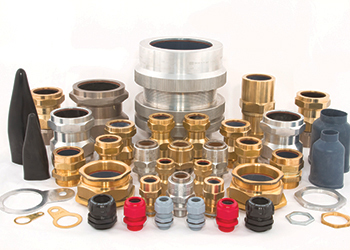 The full range of cable accessories including cable glands, cleats, joints and connectors to serve most sectors including construction, infrastructure and oil and gas industries have been marketed under the Bicon brand since that time, with the BICC name no longer having any association with the Prysmian Group or its range of cable accessories. Prysmian Group is a world leader in the energy and telecom cables and systems industry. With almost 140 years of experience, sales of €7.5 billion ($9.93 billion) in 2015, over 19,000 employees across 50 countries and 88 plants, the group is strongly positioned in high-tech markets and offers the widest possible range of products, services, technologies and know-how. It operates in the businesses of underground and submarine cables and systems for power transmission and distribution, of special cables for applications in many different industries and of medium and low-voltage cables for the construction and infrastructure sectors. For the telecommunications industry, the group manufactures cables and accessories for voice, video and data transmission, offering a comprehensive range of optical fibres, optical and copper cables and connectivity systems.